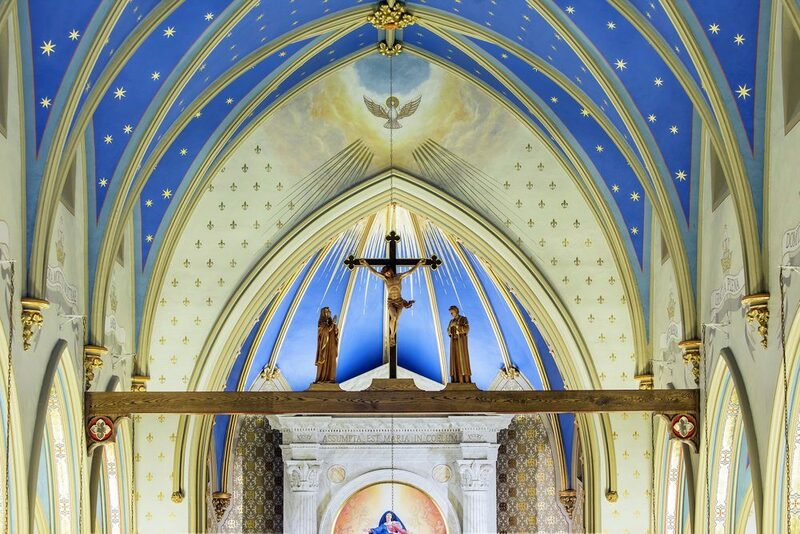 Saint Mary Roman Catholic Church Restoration | John Canning & Co.
John Canning Co. installed and augmented the new Gothic Revival interior design scheme that references Catholic liturgy, traditional iconography, and a celebration of Saint Mary. 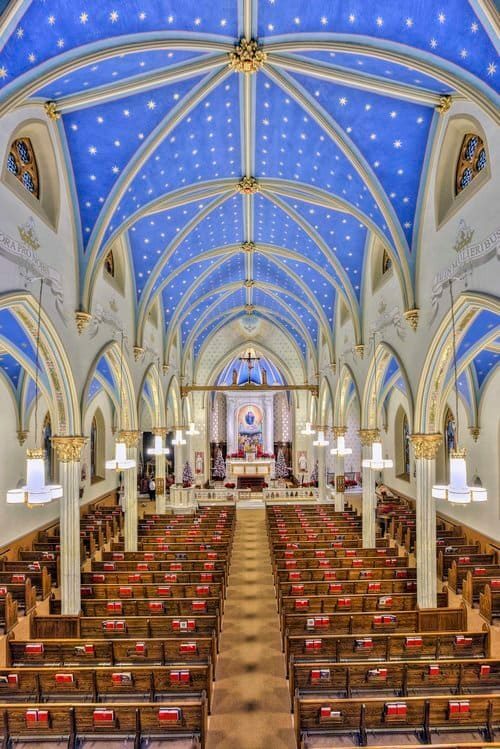 Working with Duncan Stroik Architects, John Canning Co. provided a new decorative scheme that articulates the architecture, reflects a Marian theme and represents the finest historical, traditional liturgical design. The comprehensive project was completed in phases, one of which was the restoration of decoration in the transept, including a new plaster reredos.